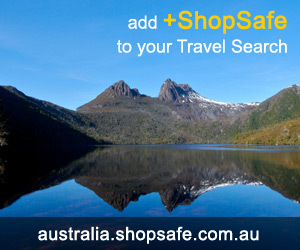 There are 10 shops in the ShopSafe USA Gadgets and Gadget Stores Shopping Category. A one-stop shop for everything geeky - If youre looking for gadget gifts for Geeks you'll find it right here. Think Geek's most popular products include Shower Shock Caffeinated Soap and Caffeinated Hot Sauce.....But seriously the Gadgets are pretty cool, Lights and Lasers, Watches, Cell Phone Goodies, Geek Tools and heaps more! The ultimate gadgets - Unbelievable, iRobot has created a line of robots that clean pools and gutters, wash and vacuum floors and sweep shops. Gadgets ready to Pick and Click - Portable GPS, Digital Photo Frames, TVs, Bluetooth products, MP3 Players, Unlocked GSM Cell Phones, Digital Cameras, Home theatre, Car Stereos, and Home and Outdoor. Gadget Universe sells a wide range of nifty products including: Massagers, Spy Gadgets, Audio/Video Gadgets, Car Gadgets, Health Gadgets, Toys and more. All else failed? Let us help. If you want to see more Gadgets and Gadget Stores here, please e-mail gadgets@shopsafe.cc. Please do not change the subject line of your email. If the subject line does not contain "Add to ShopSafe Online Shopping" it will not be read.